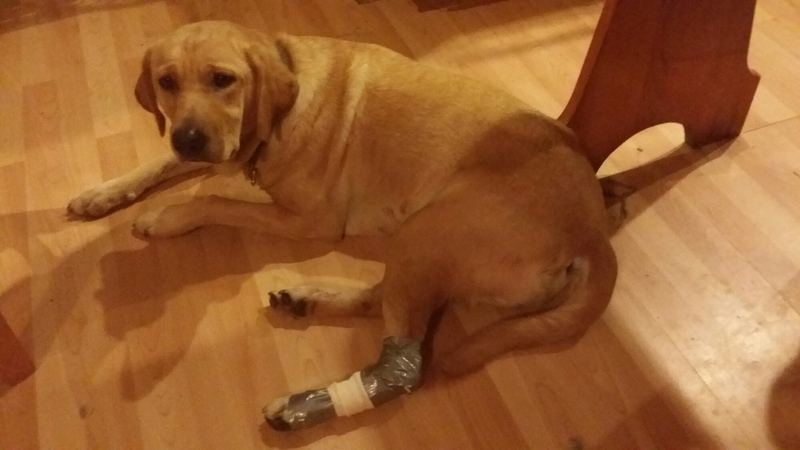 Somehow, DG cut herself badly tonight while Ted was doing farm chores. I think she did it in the creek, but I’m not positive. It looked like a gouge, but once I got it cleaned, I saw it was a big slash. We’re rural so all vet offices close after 12pm on Saturdays. I didn’t think it was bad enough to warrant an emergency vet call so I went online to figure out what to do. My first stop was my number one go to Facebook group, Home Farm Ideas. There are many knowledgeable farmers and homesteaders on that list! I followed their instructions and used a little cornstarch to stop the bleeding. Then I had to wrap the cut. 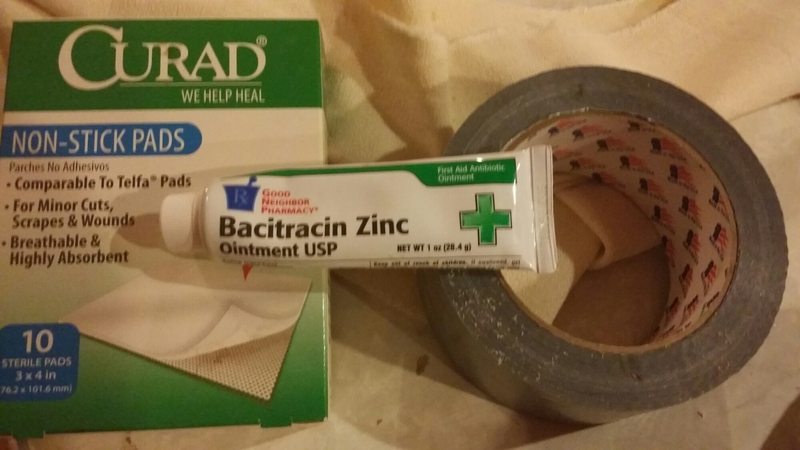 I googled a YouTube video by a vet on how to properly do it and gathered my supplies. 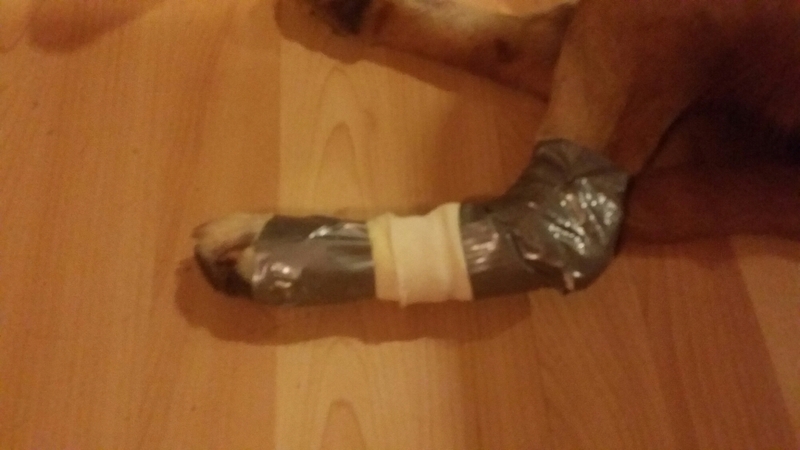 Nonstick bandage with ointment directly on the cut and followed by part of an Ace bandage (loosely wrapped) and secured on both ends with two strips of duct tape – not bad for my first attempt ever! I did it!!! She actually held still while I did it, too! She’s going to the vet first thing Monday morning. Thank you!!! I am probably still taking her because with the flash flooding we had a couple of weeks ago, I’m worried somebody’s septic tank further up the way may have flooded and washed down through the creek. I know ours did not, but you never know what could be lurking in that creek bed, and I do think that’s where she cut it.